Delta Deck Hire. Podium. Delivered UK. £28 Per Week. DeltaDeck can be set with platform heights of 450, 530, 600, 730 and 870mm. Just £28 per week. Innovative low level access solution, ideal for those needing flexibility when working at 3m and below. Simple to assemble and dismantle. Platform guard railed at all times. Suitable for construction and maintenance use. Whether you are a professional contractor or an amateur DIY enthusiast, getting to all those hard to reach places can be made much easier with delta deck hire. 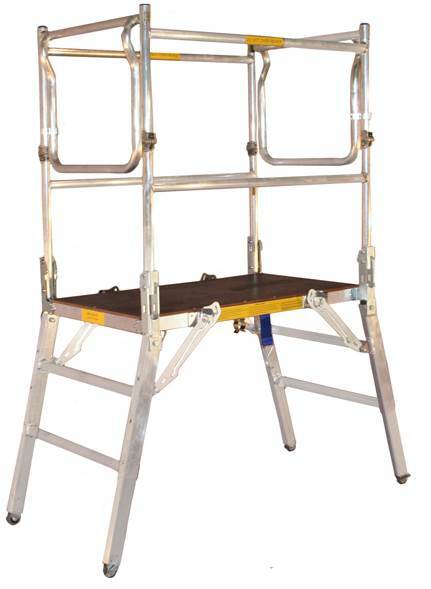 Sometimes a ladder or a mobile scaffold tower is not a viable option for various reasons, therefore the Delta Deck can offer the ideal solution. Compact and easy to move, the Delta Deck is easy to transport and use for a variety of jobs. Hiring a Delta Deck is the ideal alternative especially if you are working on a one-off job. We pride ourselves on making sure that all of our equipment is safety checked, tested and fully cleaned before it goes out the door. You can be sure that the quality of equipment is as it should be expected. These Podium Steps allow for a variety of heights and a long platform length. Working height up to 3m. Easily flat packed and moved. Guaranteed delivery slot or your hire charge back.